In most cases, if your bag weights more than 50 lbs you will have to pay an additional fee. Each year, the TSA screens over 432 million checked bags, or around 1.1 million per day. Airport security agents meticulously check bags to ensure no prohibited items enter an aircraft. While it may seem unfair that there are restrictions on what is and isn’t allowed on-board, those regulations are in place to keep passengers and crew members safe. In general, the TSA has regulations on flammable items, liquids and oversized items that pertain to checked baggage. They also have a standard limit on size, weight and amount of luggage, although each airline has the final word on their exact allowance. 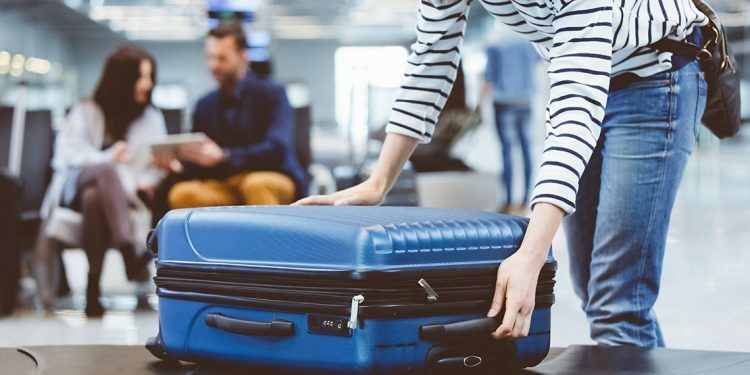 As you prepare for an upcoming flight — and consider checking a bag to your final destination — consider these tips to help you pack efficiently and navigate TSA regulations successfully. Each airline has their own policy, but for the most part, the maximum number of bags one person can bring on board is 10. Even though the average person only checks between one to two bags, almost every US airline charges for all checked bags currently, with the exception of Southwest and JetBlue (who allow up to two bags for free). Checked bags start at $25 per bag, with many airlines charging well over $100 once you get past three bags. However, when traveling internationally, checked bag fees are often waived for up to three bags. 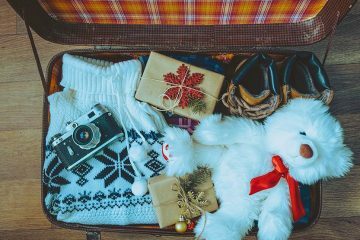 Some countries in South and Central America have additional limitations on checked baggage due to peak season embargoes and may not allow excess baggage during these times. 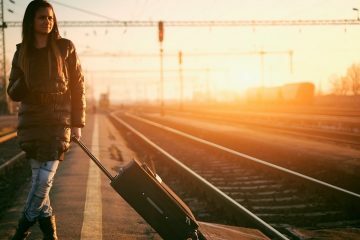 If you’re traveling to one of these destinations during the summer months, pack light to avoid baggage woes at the airport. When packing a checked bag, it’s a good idea to sort items into layers. Shoes should remain at the bottom, tucked into the sides and corners as much as possible to conserve space. Socks can be balled up and placed inside of shoes so as not to add extra bulk in upper zip pockets. Next comes clothing, which should get rolled up and stacked on top of shoes. Your last layer should consist of electronic devices, liquids over 3.4 ounces, or other materials that can easily lie flat or get tucked into any remaining crevices. Do not pack valuables in checked bags if possible in case of lost luggage or theft. Keep them in your carry-on or leave them at home. In fact, try to leave any unessential items at home to avoid getting charged an excess baggage fee. As a general rule, checked baggage exceeding 50 lbs falls into the overweight category for travelers flying in economy class. Bags weighing between 51 to 70 lbs are subject to an additional fee, which usually starts at around $50 per bag. For first-class and premium seating, many airlines allow bags up to 70 lbs before applying any additional charges. The majority of airlines also have a fee for even heavier baggage up to 100 lbs, which will cost you another $100 or more. Since airplanes only have a limited amount of space in their cargo hold, checked bags also cannot exceed 62 inches (158 cm) in size. Bag size is calculated by adding length + width + depth of the outside dimensions. 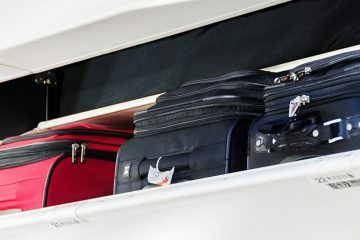 Most airlines consider bags between 62-80 inches as oversized and are subject to additional fees on top of any checked bag fees. In some special cases, items up to 115 inches are allowed; such is the case with Hawaiian Airlines’ surfboard policy. When it comes to choosing between suitcases, you should follow these tips for buying luggage. Certain types of baggage fall under the “special items” category, which are usually subject to different regulations. Skis, baseball bats, golf clubs, hockey sticks — or any sporting equipment that could be used as a weapon — falls under this designation. Because many musical instruments also have abnormal shapes or are oversized, they too have to be checked and are subject to additional screening. In general, these items should be kept in bags or cases specifically designed for the item to prevent damage. However, especially valuable items may also need a limited liability release form and are charged an additional fee to cover any loss that may occur in transit. When packing alcohol, wrap bottles in either clothing or bubble wrap and stick them between layers of clothing to ensure they remain intact. Placing them inside an airtight plastic bag will also keep your clothing safe in case a bottle does break in transit. As a flammable substance, alcohol also has its own set of restrictions. Anything over 3.4 ounces must go in your checked luggage, just like any other liquid. While there’s no limit for beverages with less than 24% alcohol per volume, only five liters are allowed if a bottle is between 24 to 70%. Unfortunately, no alcoholic beverages with over 70% alcohol content are allowed in checked bags. Shipping bottles ahead or purchasing them at a duty free shop are the only way around this TSA rule. While the majority of items that are prohibited by TSA carry-on rules are allowed in checked baggage (such as unloaded guns and sharp objects), there are exceptions to the rule. When it comes to TSA checked bag restrictions, most highly flammable items are not allowed; this includes liquids, gels, paints and all types of fuel (including lighter fluid). No explosives of any kind can go on-board an aircraft for obvious reasons. While not explicitly explosive under normal circumstances, both aerosols and long-life lithium ion batteries can explode under pressure and are therefore prohibited. Even items that are just replicas or resemble explosives are not allowed. Pretty much anything that might prove hazardous to passengers within close quarters and changing cabin pressure has to be left at home. If you’re unsure about the status of any item, check the TSA website for up to date information or contact your airline directly for their specific limitations.